As a greenhouse gas, carbon dioxide in the atmosphere has played a major role in regulating Earth’s climate throughout its history. There are vast stores of carbon in the subsurface, but the global carbon cycle controls how much of that carbon enters the atmosphere. As methods for monitoring and tracking the carbon dioxide that moves from the subsurface to the atmosphere improve, scientists have identified continental rift zones, which are the long fissures that form inside plates as they stretch, as important contributors to atmospheric carbon and thus global climate. In a new paper in Nature Geoscience , Sascha Brune (GFZ German Research Centre for Geosciences, Germany), with DCO member Dietmar Müller, and Simon Williams (both at the University of Sydney, Australia), examines the impact of carbon dioxide release from continental rifts over geological time. The researchers catalogued rift lengths over the last 200 million years and estimated their impact on the global climate. Their analysis identified two periods of continental rifting that coincided with especially warm periods in Earth’s history. 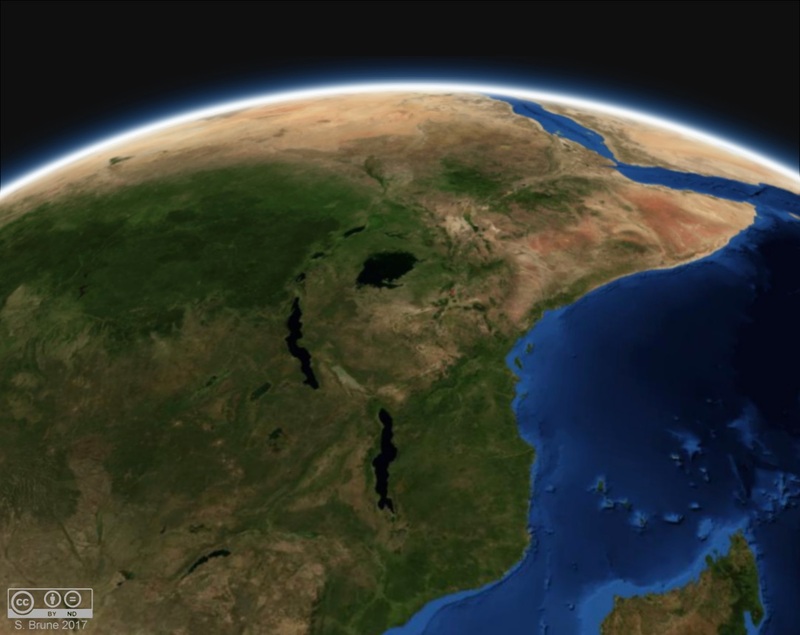 Brune and colleagues explored the effects of continental rifts on global climate starting at 200 million years ago, when the supercontinent Pangaea began to break apart. 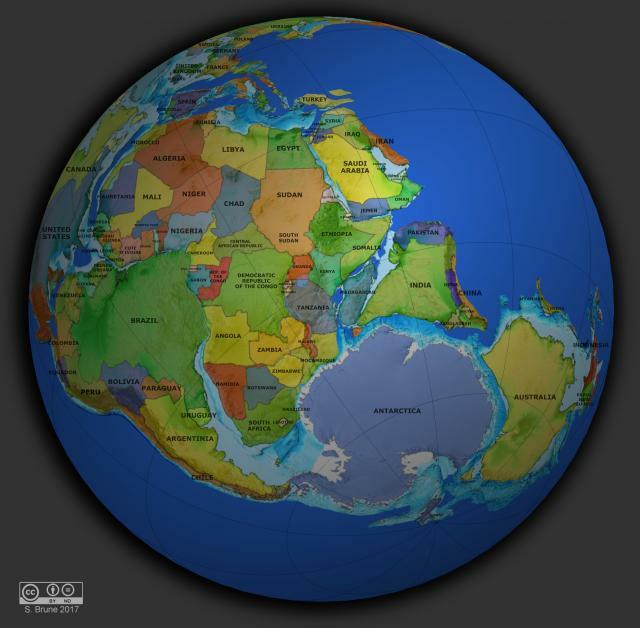 “At this crucial moment, Pangaea began its main phase of breakup and the rifts started to play a big role in Earth’s history,” said Brune. To estimate the total lengths of rifts on Earth during that time period, the researchers used a software tool called pyGPlates, developed by Williams and Müller. The software reconstructs Earth’s tectonic plate movements and can, for instance, be used to measure the extent of known rift sites. When a rift splits a plate into two, the action creates an ocean basin, making these historical rifts easy to identify. Some rifts stop splitting apart before the creation of an ocean basin, however, and many of these “failed” rifts are not yet accessible through the software. To compensate, the researchers used a database of compiled from reports by field geologists who documented the existence of such rifts in the geological record. With these two information sources combined, they could determine how Earth’s total rift length changed over time. The researchers came up with estimates of average carbon dioxide release from rifts based on field measurements and plugged that information into a numerical model of the deep carbon cycle. They could then calculate carbon dioxide concentration in the atmosphere during the last 200 million years based on rift lengths and compare it to existing estimates of carbon dioxide levels in the atmosphere. 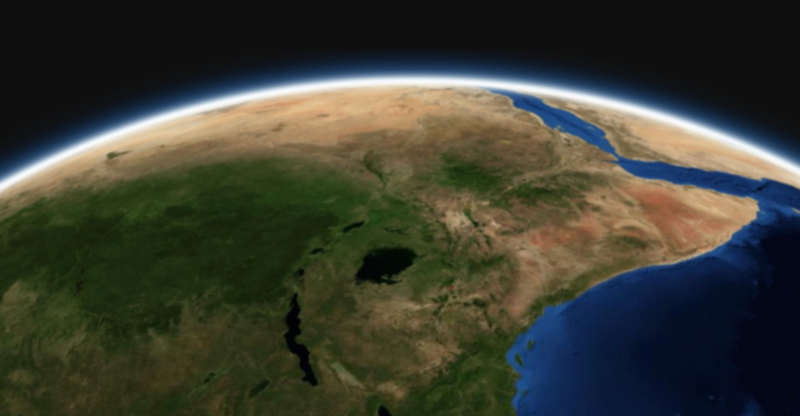 Their analysis suggests that the length of continental rifts was one of the main determinants of atmospheric carbon dioxide. “We didn’t expect that there would be such a big impact at all,” said Brune. They also identified two time periods, at 160 to 100 million years ago and after 55 million years ago when increased rifting created “greenhouse climate episodes” with atmospheric carbon dioxide levels three times higher than today, which elevated global temperatures. Despite being a key component of climate evolution over millions of years, current rift emission is dwarfed by human contributions. “The rate of carbon dioxide release from humans is 100 times or so more than what comes from the rifts,” said Brune. The paper was published on the same day as a companion article  by DCO members Stephen Foley (Macquarie University, Australia) and Tobias Fischer (University of New Mexico, USA) that estimates the release of carbon dioxide from continental rifts over their lifespans, and presents a mechanism to explain how so much deep carbon can accumulate beneath continental rifts and be funneled into the atmosphere.